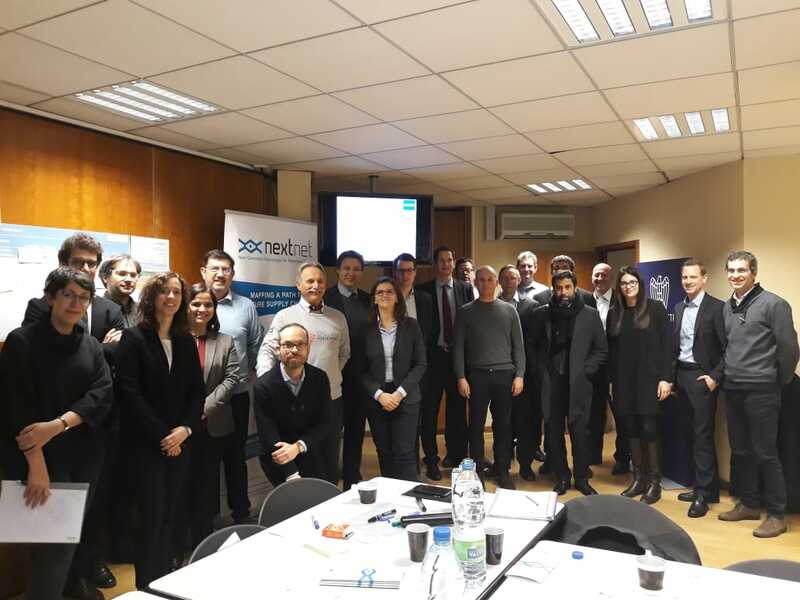 The European project NEXT NET, which has the collaboration of INESC TEC, was the impulse for the organisation of the workshop entitled “Research and Innovation needs for supply chains of the future”, which took place on 29 January in Brussels. Ana Barros, researcher of INESC TEC's Centre for Enterprise Systems Engineering (CESE) was present with the presentation “Proposing new models of supply chain of the future” which was about the suitable strategies of the supply chain for the six future scenarios defined in the project. After the presentations, the moderation of the workshop which was composed by experts also had the collaboration of Pedro Senna, researcher from CESE. The main goal of this workshop was to bring together a group of experts, both industrialists and academics, in order to discuss how to face future challenges for the supply chain towards the improvement of the integration of the manufacturing, distribution and process industries. It was also possible to discuss the research and innovation needs as well as the necessary actions in order to face specific challenges. This workshop took place under the European Commission’s initiative known as “EU Industry Week”, which is kind of a label that is given to events that are locally organised, in a certain period of time, in the areas of industry, sustainability, globalisation, innovation and digitalisation. The goal of the NEXT NET project is to increase the integration between production and distribution of supply chains, by suggesting the implementation of a multisector and technological initiative through the definition of research and innovation priorities to the future. The major stages of the project are to create a European network, in which the most important stakeholders will be involved, thus achieving a critical mass of people from target industries and from scientific domains through direct interactions throughout the whole process. Besides INESC TEC, the project has Consiglio Nazionale delle Ricerche - Instituto per le Tecnologie Industriali e Automazione, PNO Innovation, Fundacion Zaragoza Logistics Center, Fraunhöfer Institute for Material Flow and Logistics and Aston University as partners. The researcher mentioned in this news piece is associated with INESC TEC.